Hugh McGinlay was one of the first musicians to play at The Chandelier Room, Anthea Palmer’s Melbourne based venue. The two met back in 2009 when Hugh joined the Sunday Singer Songwriter Sessions. 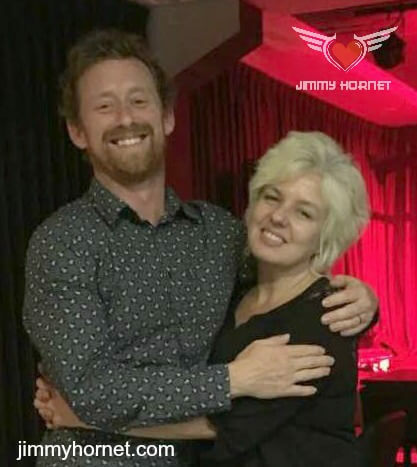 They stayed in touch throughout the years and when Hugh added China to his 2017 Vietnam Tour, Anthea was thrilled at the prospect of him playing the Jimmy Hornet stage. 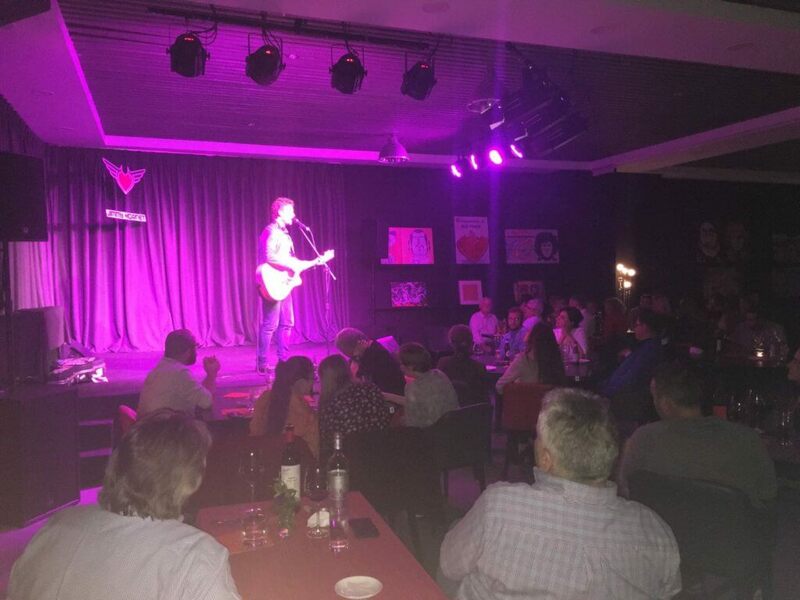 Hugh delighted the audience with his special blend of folk ballads, blues grunt, and storytelling. His gentle and candid stage presence set the audience at ease. 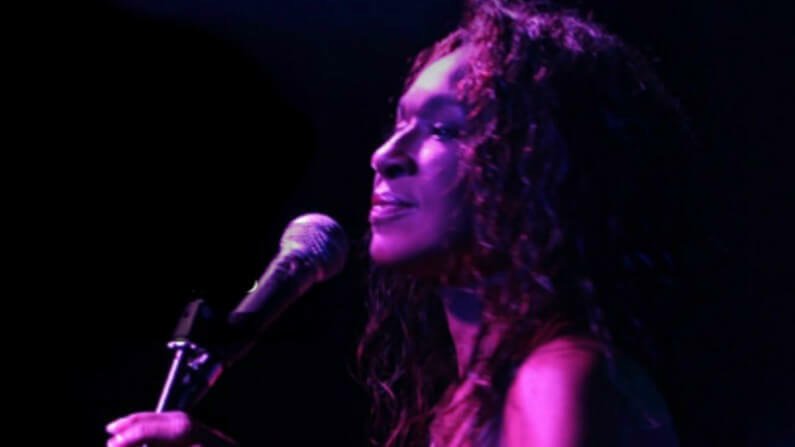 A sold-out show meant that Anthea was busy managing the venue on the night. Unfortunately, this resulted in a lack of performance video (Doh!). 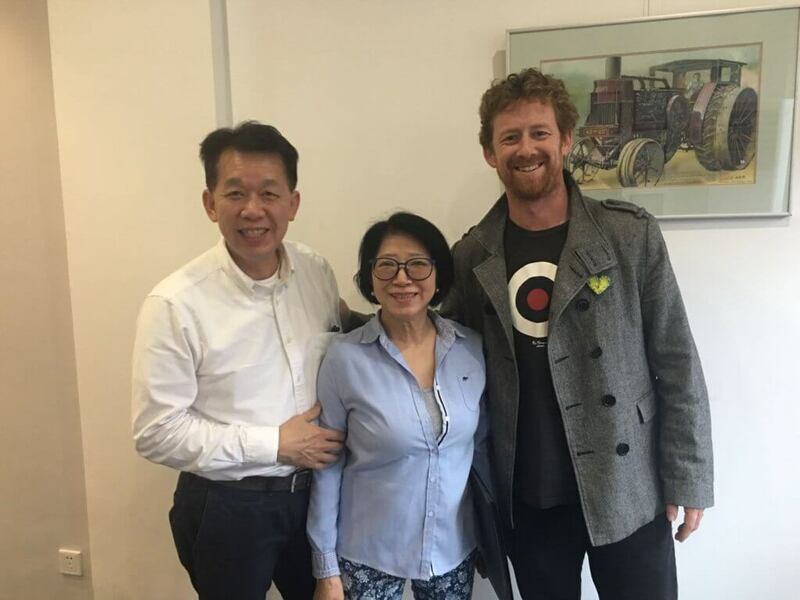 Hugh immersed himself in the local Chinese community whilst in Zhongshan, and we are pleased to share photographs of his China visit along with information and music. 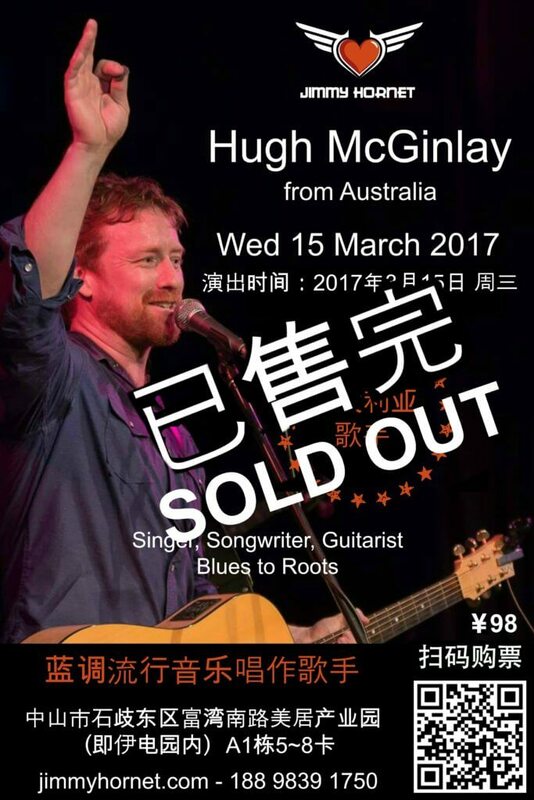 Hugh McGinlay is a singer-songwriter and author based in Melbourne, Australia. As a musician, he is known for his poetic lyrics and varied styles. Hugh has three albums: Bliss – with the Recessive Genes (2015), Elsewhere (2009), and Second Guess (2006). Over the years he has toured extensively around the globe and has performed with the likes of Robyn Hitchcock, The Proclaimers, Billy Bragg and Badly Drawn Boy. 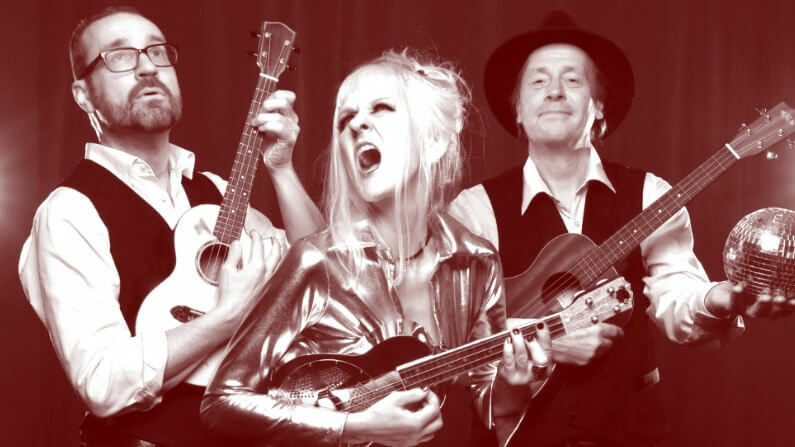 The single, I’ll be fine was released by Hugh McGinlay and the Recessive Genes in October 2017. As an author, Hugh is known for the novels Jinx and Pachyderm, the first two in a series about a hard-living milliner called Catherine, who lives in Brunswick and solves crimes in her spare time. ​Pachyderm was long-listed for the Ned Kelly awards 2018. Which by Australian crime fiction terms mean he was nominated for an Oscar. Hugh is often erroneously credited with works of theology, which were written by his father, who was called Hugh McGinlay long before he was. 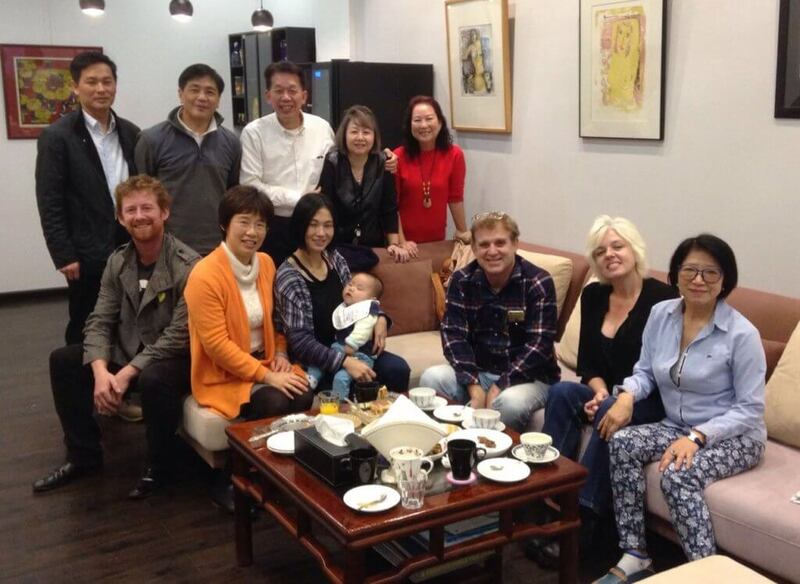 Hugh is the brother of Australian TV personality and comedian Danny McGinlay. 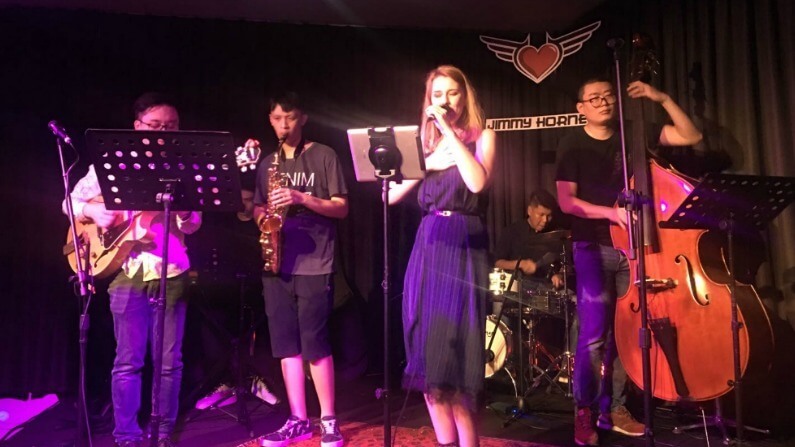 Hugh McGinlay performed at Jimmy Hornet, Zhongshan China on 15 March 2017.